In 2015/16 8,096 people were found sleeping rough by outreach teams in London. This is a 7% increase on the previous year. 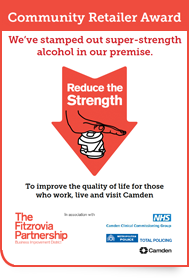 641 rough sleepers were recorded in Camden. Many people rough sleeping have one or more identified support need – 53% alcohol, 39% drugs, 38% mental health. 150 times more likely to be fatally assaulted than the general population. Figures held by Crisis show that the life expectancy of a man who rough sleeps is just 47 years. St Mungo’s recently released the frightening fact that for a woman it is even lower – just 43 years! CHAIN Greater London bulletin 2016-16. Why is life expectancy so low? Day to day survival becomes the all consuming priority. Dealing with health issues and doing the things necessary to find accommodation are not seen as important. Although alcohol and drug misuse does not affect all homeless people, substance misuse does affect a significant minority of people who sleep rough. Drugs and alcohol are often used as self medication to deal with emotional, mental and physical pain. Substance misuse does contribute to the death of many on the street. Overdose and drug and alcohol related illnesses, such as liver failure, as well as the self neglect and poor diet often associated with addiction are common. However the most significant factors in early death are the harsh environment of the streets and the rough sleeping lifestyle. Mental illness amongst the street homeless is common, often undiagnosed and the sufferers un-medicated. Untreated mental illness often leads to people dropping out of society, avoiding health services, general self neglect and the development of physical illness. This self neglect explains why, even when food is readily available through day centres, people may become very poorly nourished. 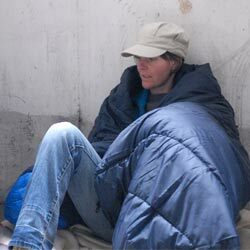 It is vital to find people who are new to rough sleeping quickly in order to find them a way out of their predicament before they become entrenched. This process – living on the streets and adapting to survive – occurs quickly after which it is far more difficult to reintegrate back into the mainstream. This is said to occur after just three weeks. You can keep up to date with rough sleeping figures both in Camden and across London via the CHAIN quarterly reports here.